Cast: Bishop G.F. Austin, Dr. Sheila Austin, Jennifer Keitt, Dr. Francesca Adler-Baeder, Ron Deal, Vicki Maday Bob Maday, Joyce Auld Junious McLean Jr.
Over the last century, sweeping changes in American family demographics have led to the breakneck growth of step-families. Approximately one-third of all weddings in America today form step-families. Despite the prevalence of step-parents as the virtual norm in modern day U.S. homes, direction on how to make step-families transition, forge new relationships, strive and thrive has been scant—until now. 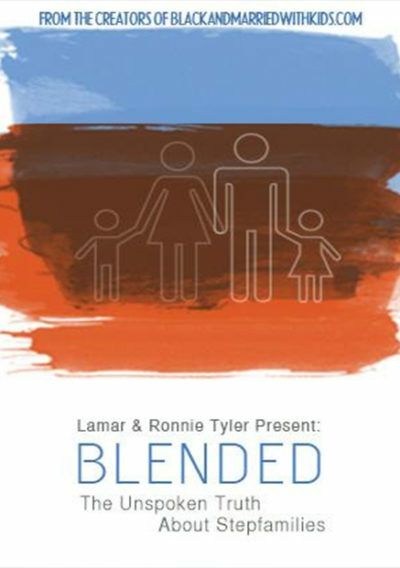 Blended taps into the dynamic of this complex family structure, weaving emotional, first-hand stories from parents and children, who overcame serious obstacles to solidify their love, with expert advice from top family experts, to share surefire knowledge on how to make step-families work.